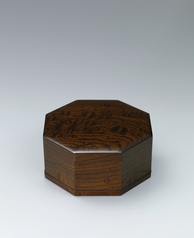 Octagonal box of zelkova wood finished in wiped urushi. 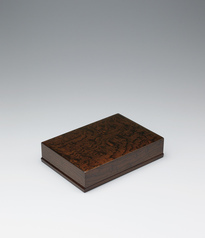 Box of jindai zelkova wood for letters finished in wiped urushi. 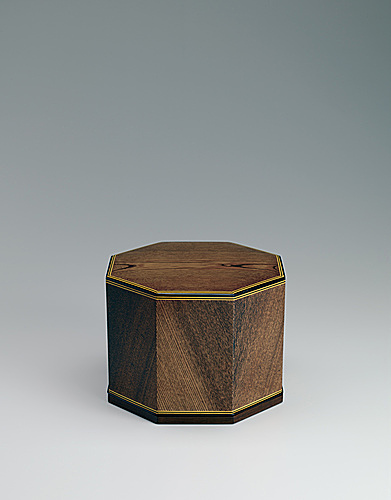 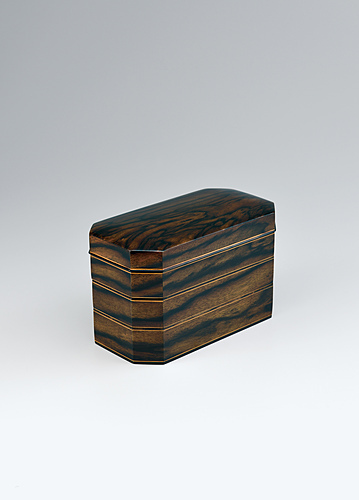 Octagonal box of jindai zelkova wood finished in wiped urushi.